I’ve got a new book out. I’ve been writing about small space design for several years now, documenting and showcasing wonderful space-saving ideas and charting the general evolution of tiny houses and the mortgage-free housing movement. One of the most interesting developments in the tiny house movement thus far are vehicle conversions — people converting vans, trucks and buses into comfortable homes on wheels. Of course, they are nothing new, but what’s intriguing is how some of the modern aesthetics and space-efficient design culture behind the tiny house movement is making its mark on the conception of these converted vehicles, especially buses. The Modern House Bus book is all about how today’s elegantly styled bus conversions are once again capturing our imaginations. Reborn as cozy homes, these retired school buses are ready to hit the road. For homeowners seeking a simpler life and apartment dwellers dreaming of their own space, tiny houses represent an inspiring, attainable ideal. For those fueled by wanderlust, converted buses―they call them “skoolies”―take the tiny house adventure one step further. And unlike the bohemian house buses of 1960s counterculture, many of today’s conversions adhere to a contemporary aesthetic of sleek minimalism. 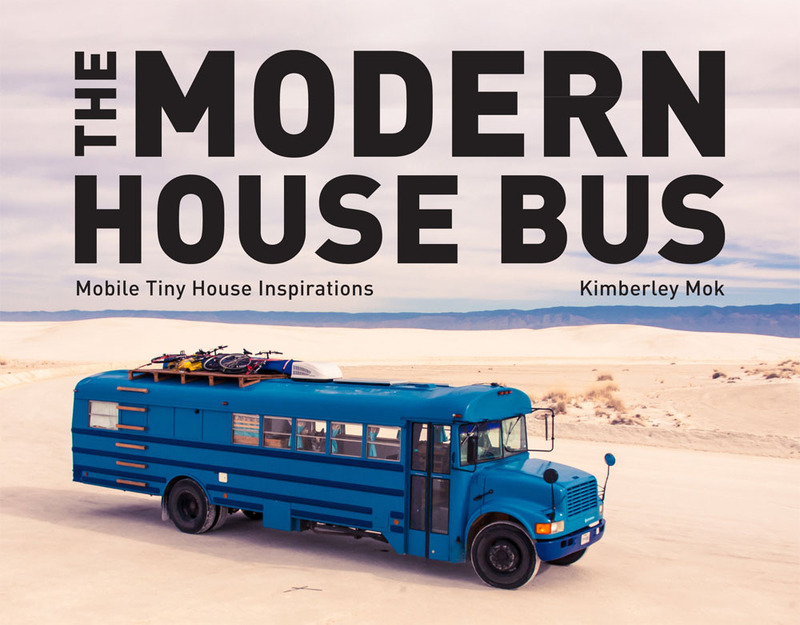 The Modern House Bus shares twelve buses that are sure to inspire. These are families following a new American dream that values financial freedom over square footage, adventure over manicured lawns. Designed to fit the owner’s lifestyle and needs, these conversions are filled with inventive architectural details, creative materials, and unique style. With photographs of the buses and their breathtaking surroundings, and space-saving hacks, this is a book for aspiring bus-owners and armchair adventurers alike. Recently reviewed by Vogue and Mother Nature Network. Available for order on Amazon.